When was the last time you saw a real blacksmith, a woman weaving, wild horses or wood crafting? No, not as reenactments, but practiced for a living. Aside from Romania’s modern thrills or medieval wonders, head towards the mountains and discover flourishing villages where people actually live and thrive off the land. The kind of villages where celebrations or folk costumes still resemble those of the ancient Geto-Dacians – ancestors of today’s Romanians. Places where mouthwatering dishes are cooked only from what the land has to offer and where people are happy to welcome tired travelers or share stories about forgotten traditions. This is Time Travel Tourism – a new way of traveling designed to unveil places locked in time. So, what about you? Are you a Time Traveler? Click here to discover the elements that allow you to embark on such a journey. A tailor-made journey designed around you. 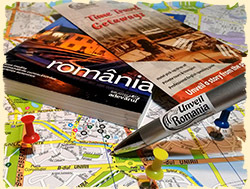 Are you planning a trip to Romania, but you’re struggling to find the best attractions, activities or accommodations? Afraid to miss out the hidden gems due to lack of info? Experience our trademark concept of Time Travel Tourism and enjoy an entire holiday completely designed around you. We can help you with: travel planning, booking support and a travel booklet so that you may keep track of everything we’ve planned together. Moreover, if you need a private guide to accompany you along the way, we can do that too! Let us handle the itinerary planning – you just make sure you do your luggage! Accept our Quest to discover the hidden gems of Romania through our trademark concept of Time Travel Tourism – a new way of travelling designed to unveil places locked in time. Discover Romania beyond its natural wonders, medieval marvels or modern thrills. 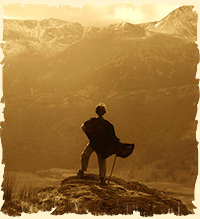 The Quest is based on 3 Elements: Past locations, Present ones and Hidden History. Each will reveal amazing places from Romania, but only the 3 of them combined will “open the gates” for a tailor-made journey back in time. If you want to know more about what it feels like to travel through forgotten lands and witness ancient traditions…If you want to unveil huge castles, medieval cities or epic stories like the one of Vlad the Impaler (which you, guys, like to call Dracula)…then go to The Quest’s main page and withstand the full force of Time Travel Tourism! Keep it alive! Make the most out of your day and pick a quick getaway! Book a guided tour and discover the history, architecture, social life or fun facts. It’s time travelling time! Full list here. The Ashes of Communism – Bucharest tour (4 hours): Journey through 45 years of communism and unveil the marks left behind by the regime: massive structures & unhealed scars. Visit the former Communist Party HQ, the Secret Police or the Palace of Parliament. Charm of the Belle Epoque – Bucharest tour (3 hours): Find out why Bucharest was called “Paris of the East” in the 19th century: neoclassical architecture, gorgeous palaces or colorful cafes nested inside old manors. Go back in a time of tango, cabarets and boehme lifestyle! A taste of Transylvania – day trip from Bucharest (12 hours): 1 day. 3 different ages. A kings’s palace. A vampire’s castle. A Teutonic city. Embark on an epic time travelling adventure and explore Peles Royal Palace, Bran Castle and the Medieval city of Brasov! Unveil Romania’s hidden gems, known as Time Travel Locations and get ready to be dazzled by our Photo Gallery. Witness the mix between Past, Present and Hidden History!